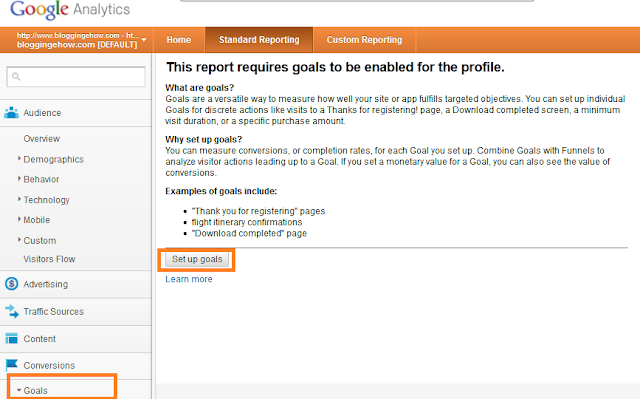 How To Setup Google Analytics Goals? Google Analytics goals are more important than we ever believed them to be. Usually as a part of our campaign to monitor our blogs growth via Analytics, we take care of the general figures like page views, visitors, average visit duration, bounce rate and much more. But we hardly think more critically to monitor our separate campaigns and goals via this amazing free tool that we are blessed with. Recently chatting with my fellow mate, we concluded to a point that Google Analytics is indeed a whole separate world to be explored. There is so much to get our hands on, and thats what we'll try to achieve in this Google Analytics series. So first of all, in case you're confused about the goals that we are going to setup, here is a brief introduction about it. Say you wish to monitor various metrics for a specific page on your blog/website, you can then setup a goal for that particular page. That can be your sales page, your contact us page, or even like 'Thanks for downloading' sort of page. That can be totally anything you can imagine. 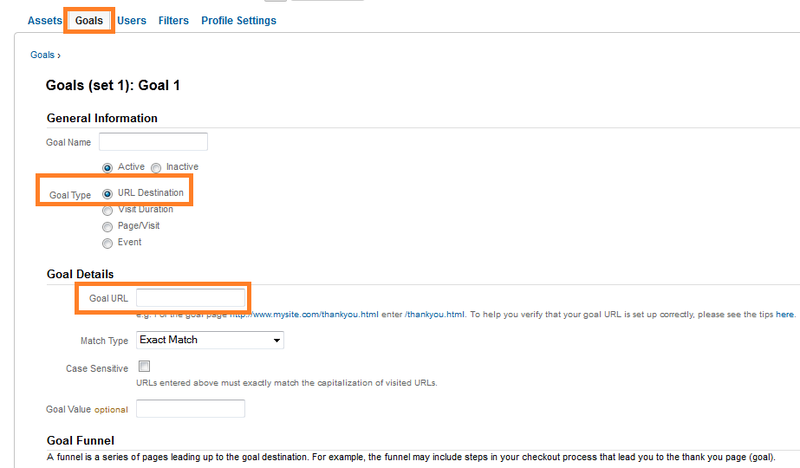 You simply would add the URL of the custom pages in your Analytics goals options and that would do the job for you. We would take a look at it later on. Then you can also setup a general 'visit duration' goal for your blog (no specific URL). Likewise, pages/visit can also be setup as a part of your goals campaign. Though these are the sort of metrics that you often tend to keep in your mind. 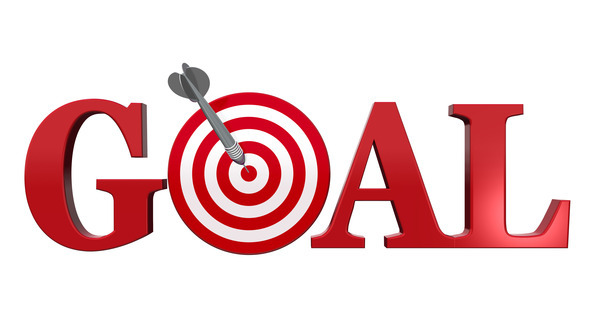 These goals are always part of your planing for your blogs growth. You often target a certain mark. So, though working on systematically via these goals features would be even better, but still its pretty much OK without these later metrics too. Though, monitoring custom pages is one of the charming features and we must make use of it. How To Setup Goals in Analytics? 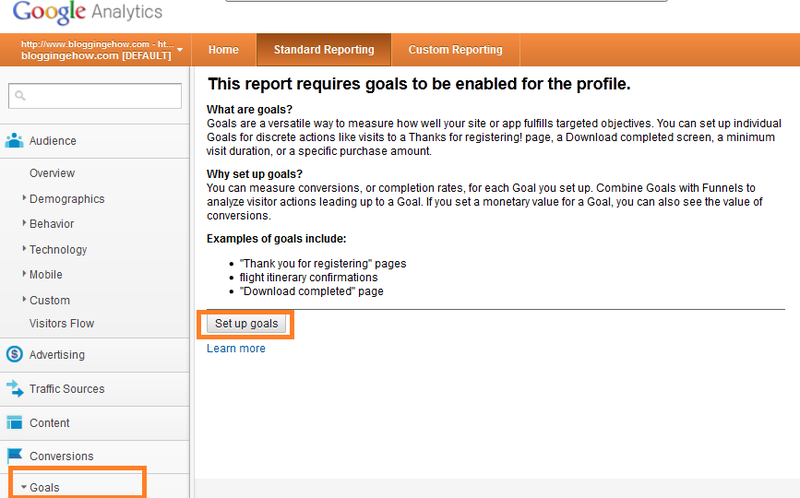 First of all, you go to reach out your Goals panel in your Analytics dashboard. 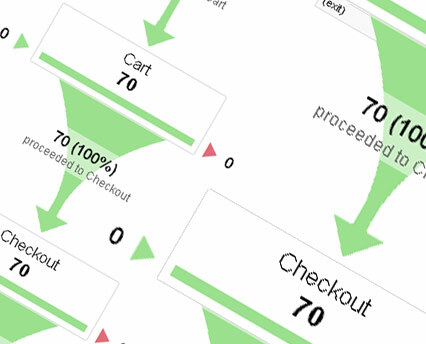 Go to Custom Reporting tab >> Conversions >> Goals >> Overview tab. In case you haven't already setup your goals (and you're doing it for the first time), you would see the page as shown in the picture below. Once you click 'Set up goals', you would have a bunch of options to play with. Dont even hesitate to try them out. As explained before, you can setup different sort of goals. So monitoring a custom page would be the first type of goal that we are going to explore. Entering the entire URL wont work. Now simply hit save. Same goes for the other type of goals. Instead as they are more general, you dont need to entire any URL. They would just monitor the overall growth in terms of the metrics that you would select. Where would the results show up? So once you setup your goals, you can monitor then in the goals options i.e Standard reporting >> Conversions >> Goals >> Overview. So yeah, thats all guys. Hope it was easily to follow. In case of any problems, simply leave out a comment below and i would come back to them as soon as possible. BloggingeHow | Making Blogging Simpler: How To Setup Google Analytics Goals?